First, let’s define our terms. Who are we referring to when we talk about non-traditional student? The National Center for Education Statistics includes in this category students working full-time, financially-independent students, those with one or more dependents, those without a high-school diploma, single parents or caregivers, those who delayed enrollment into a postsecondary program, and those attending school part-time. In other words, a non-traditional student is one who is not 18-24 years old, living on campus, and financially dependent on mom and dad. And why do these students matter so much to us here at Intead—and to you, as a recruitment pro? According to research by the Center for Postsecondary and Economic Success (CPE-S), an institute of the Center for Law and Social Policy (CLASP), enrollment of U.S. non-traditional students is projected to grow 21.7% from 2016 to 2022. Did you catch that? 21.7%. For comparison, U.S. traditional student enrollment is anticipated to grow by 8.7%. And that figure is less attractive when you look at different states round the country. Whether your focus is on domestic or international recruitment, you need to pay attention to this trend. As non-traditional students begin to take over the market, universities are changing to keep pace. Students of all stripes are demanding a new level of flexibility to work around the other personal and professional demands on their time. That means new types of programs (like online learning), a new standard of services that students will come to expect (think evening hours for administrative offices), and a needed refresh to university marketing messages. Our e-book, Quality. Cost. Convenience. 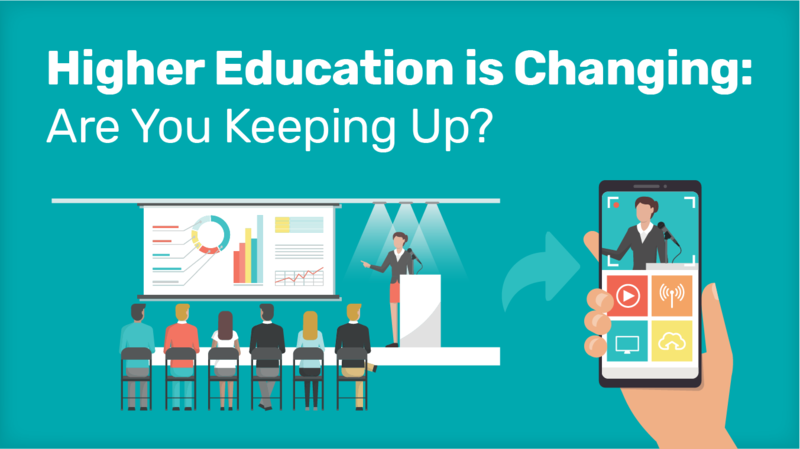 How academic leaders are competing for today's non-traditional students, is designed to give you the practical advice you need to assess your institution’s current practices, find your market niche, manage your messaging, and stay competitive. To inform our research, we reached out to your peers who are already doing non-traditional really well—and asked them to share their best practices and pitfalls with us, and with you. There are quite a few universities looking into the future and setting themselves up for success. We gathered insights from admissions directors, deans, and other academic officers and they form the cornerstone of our new e-book: a set of nine valuable case studies from institutions you already know and a few you might not. Add to that Intead's marketing perspective on what all this information means. We translate it into actionable plans and marketing tips. We’re thrilled to offer our e-book for download. Give it a read and let us know what you think. We'll be talking about this more down the road. Non-traditional is the new International. Next week: What DO those new Open Doors numbers from IIE mean?